In this guide, we’ll run down the differences/ similarities between Google & LocationIQ APIs. 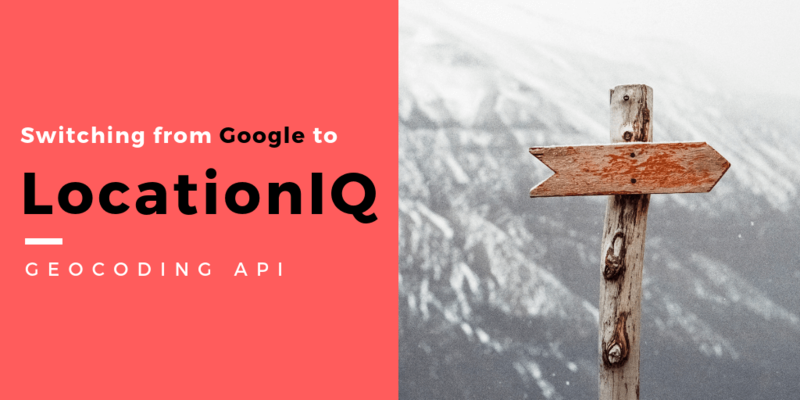 While switching from Google to LocationIQ is straightforward – as the two APIs are fairly similar – there can be certain differences that don’t appear obvious until you’ve spent some time with both the solutions. The objective here is to showcase the simplest, least painful way to make the transition. This is part 1 of a 5-part series. Unique token/ API KEY: Google & LocationIQ both require you to input the key as a ‘&key=’ parameter. This is where a bunch of things diverge. We’ve listed down parameters used to display & refine the response. Addresses are weird. Every country has a different way of presenting addresses and every geolocation solution has a different way of interpreting that information. For example, a particular rural area might be labelled as town in Google API and labelled as a ‘hamlet’ in LocationIQ. It does not mean the area is definitely a town or a hamlet, it is merely interpreted as such. * If the type of the place is a recognized point of interest, “address29” will be replaced by the “type”. Ex “Empire state building” would be “attraction: Empire state building”. If the type is not recognized, it will be listed as “address29”. Did we miss something? Write to us with details on your deployment – we’re happy to help!